Home » web design » Why Are There So Many Bad Websites By Web Designers? Website design is subject to taste, functionality requirements, budgets, time frames and theming according to types of products and services and the level of professionalism or fun needed. There is however, no excuse for the terribly boring or, let's face it, bad design that some sites possess which in all honesty, should be better. What is worse is when it is discovered that the said sites are often designed by experienced and qualified web designers. For this, there is no excuse. In some instances, companies including big corporates, have a budding designer in the family ranks just itching to get some 'real world experience'. Who can blame business owner Uncle Joe for giving his aspiring nephew a chance. The finished product looks great to Uncle Joe with his worldly knowledge of internationally sold tractors or pickles and jams. However, with no knowledge of website design and what appeals to different target markets, his rose coloured view of the nephew's website won't help his sales, positioning on search engines or site visitation at all. 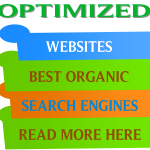 A well designed website should magnify the image of your company and increase traffic to it. Good web designers should offer custom design on up to 3 pages, options to include a gallery, a contact form, an integrated Google map, rotating images and professional copywriting assistance. If seeking something with a little extra, the web design company should have on offer CMS (Content Management System), blogs, customer, product and site statistics, order & inventory tracking, the ability to sell physical & digital items, easy-to-use store control panel, shipping zones and options and unlimited categories and products in shopping cart. 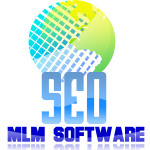 A reputable web design and Search Engine Optimization (SEO) company will have all of this covered in their available site packages. If they don't than be suspicious! There are plenty of companies out there, able to hide behind the virtual walls of the World Wide Web with no shop front to approach with complaints. Ask around before you go with a particular company or research their previous work on the web. 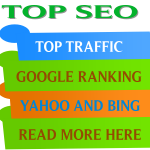 In fact, their site should include either client testimonials or views of the sites they have completed. This will be a good indication of whether they are willing to be scrutinized and checked out. Even looking at and navigating the actual design company's site can show tell-tale signs of superior or inferior workmanship. If all of the completed sites look somewhat the same, you can bet that they are using a lot of templated sites which isn't always a good thing. This infers lack of experience and creativity on the designer's part but not always. Sure, some people prefer templates as they are simplistic, can reduce costs and are easy to use, however, they can result in cloning issues making it boring and hard to differentiate between sites. 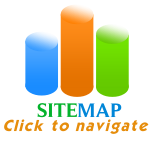 However, keep in mind that sites sometimes need to be templated especially if they are shopping cart driven sites. Having some knowledge of their work will give you the confidence in them that you need to feel that you are in capable hands. Communication with the client is key in website design. Locally based web design companies offer the ability to come to your door, sit down and discuss your concepts, ideas and needs for your site. When communication between client and web design company is broken or disjointed, the website suffers as a result. Design of your website should be tailored to the needs of the business or organisation. Settling for any less will only result in disappointment and the constant feeling that something is lacking. By doing your research, finding the best company for your web design needs, you will discover that developing a website you like and that is applicable to your business can be an enjoyable and satisfying task. This entry was posted in web design and tagged web design, web designer in South Africa, web designers, website by DWBM. Bookmark the permalink.